Happy Thursday, my Friends! I hope you are doing well. 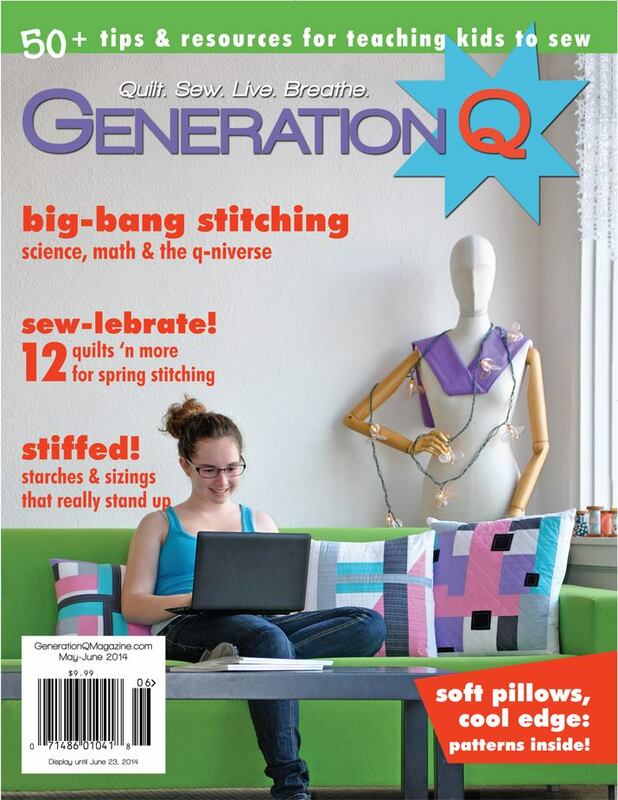 As promised, I am sharing another first time feature with you — this time it’s my Hole in The Wall quilt in Generation Q‘s May/June 2014 issue. I wish you could see this quilt in person to get a hold of the fabrics used in this quilt. 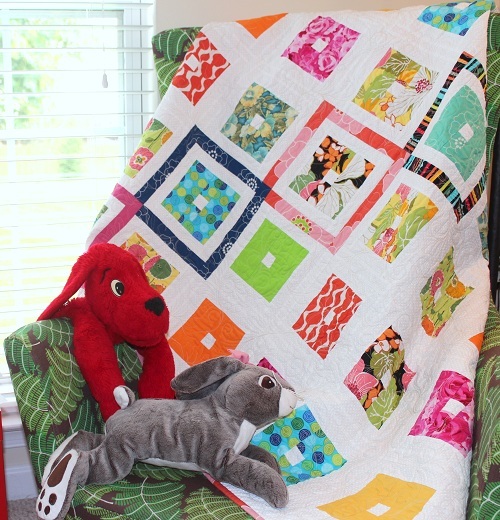 The quilt uses fabrics from rather unlikely combinations – kids themed fabrics mixed with florals, for example – to give an “unexpected” element to the final design. The fabrics I used are all from Benartex: Gramercy, Solids, 10000 BC, English Rosey, Palm Springs, and Florabunda. You will find A Hole In The Wall very user-friendly for any fabrics you might have in your stash. 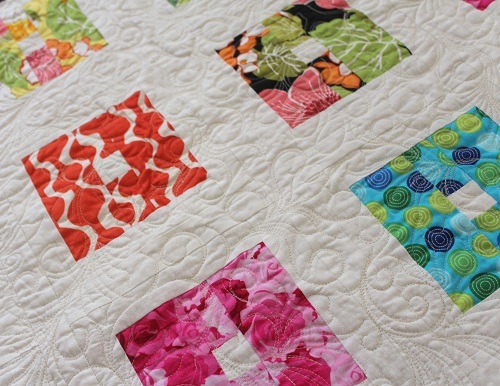 What I really like about the quilt is the quilting on this one! Quilting is free-hand on my domestic sewing machine using Aurifil Mako 50 thread over Hobbs Tuscany Silk batting. This is the very quilt that I spent a day ripping out stitches after the quilt was about 1/3 quilted. The original quilting scheme quit speaking to me, and it was a battle within me to decide whether to keep going or hunker down and get the seam ripper ready to work. The seam ripper won! And I have to say I am very happy with how the quilting turned out. I hope you have enjoyed Hole In The Wall. Thank you for stopping by, and thank you for being such sweet friends! 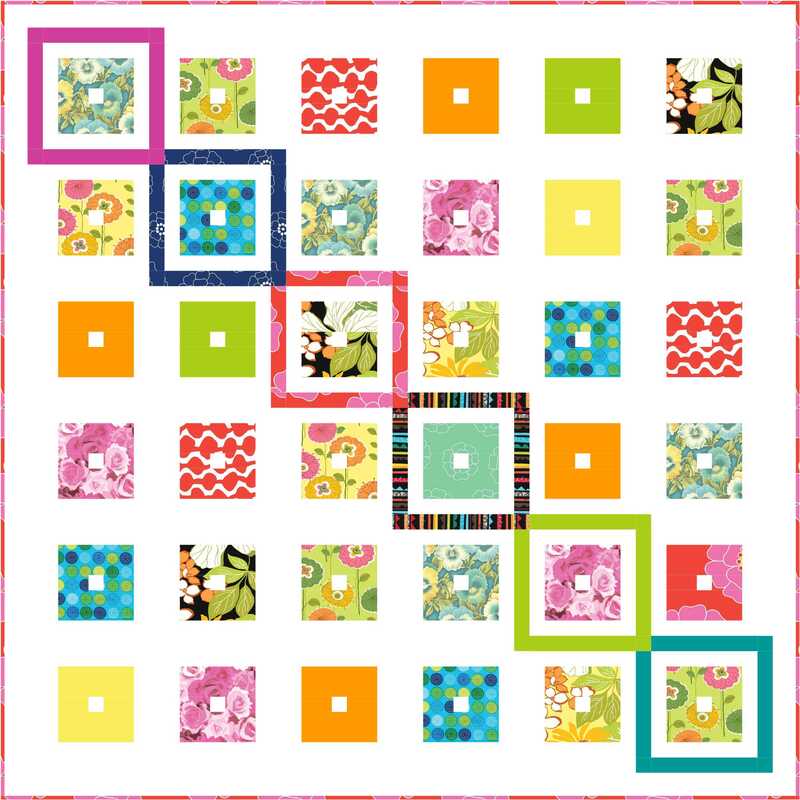 This entry was posted in Quilt Pattern, Quilting, Quilts & Projects: Published, Quilts: Pieced and tagged Benartex, Generation Q May/June 2014, Wendy Sheppard Designs. Bookmark the permalink. Love this quilt. Absolutely love the quilting. Worth the time to rip. Never heard of that magazine but I really like the pattern. Good to use up scraps. Congrats. The quilting, as usual, is awesome. So fresh and fun! Lovely quilting. Congratulations. When you have time (do you sleep?) tell us more about the magazine. incredible colors – makes me think of life savers. I love this quilt, Wendy. Wowie it is bright and happy. My two favorite things! Have a fun end to the week and sail into the week-end! WOW!! 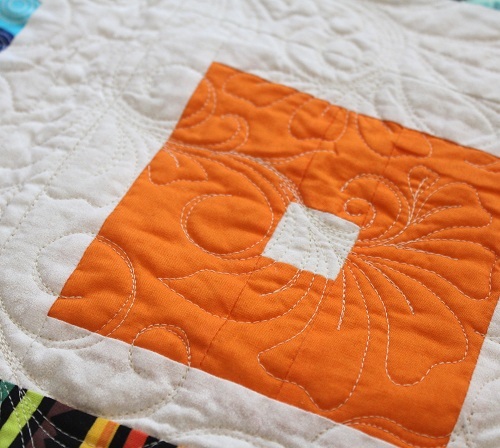 Wendy – the quilting is stunning!! 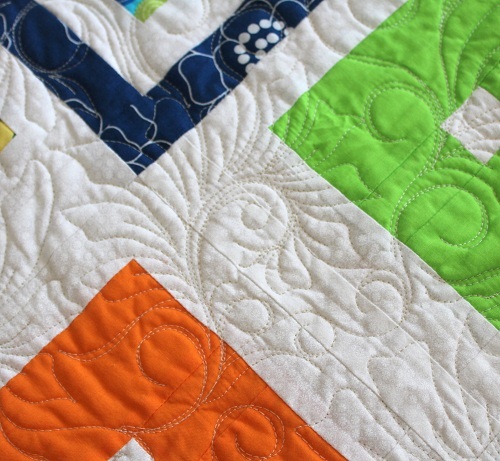 I love the chain of boxes going diagonally down the quilt…a beautiful, stair-step effect. Wonderful in every way! 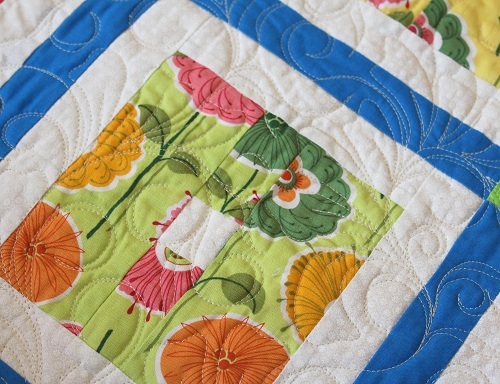 Another winner……..quilting is spectacular!! Colors are fun. Adding another publication to your resume, impressive. Thanks for continuing to inspire each of us. Have a great, and restful(? ), weekend!! 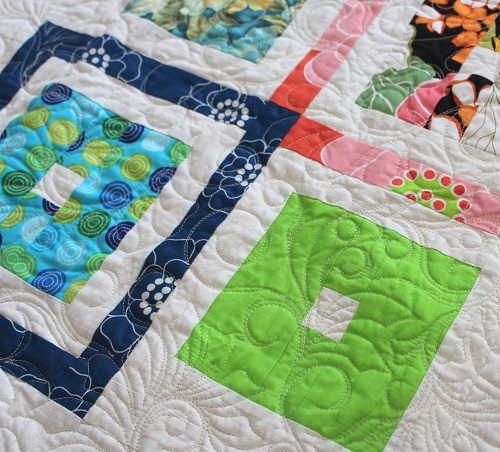 Love the quilting Wendy! 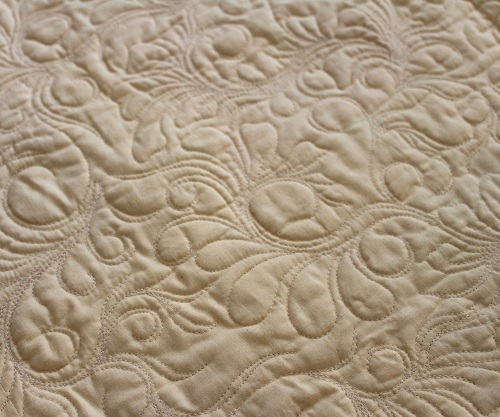 Will you have anymore quilting classes on line? I would love to watch you do these beautiful designs. I just saw this one in Generation Q!! 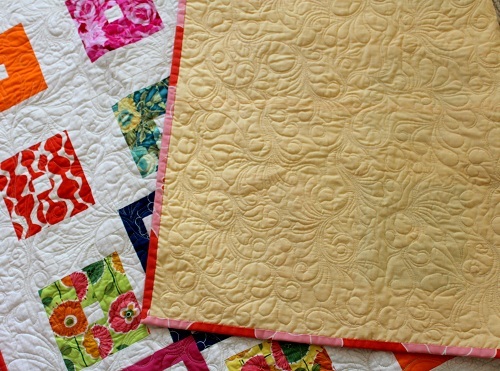 Not only are you an amazing quilter, you are an amazing ripper!! I would have had a hole in this, I would have gotten disgusted and made it a UFO. Glad you kept going!!! Dear Wendy….who couldn’t be friends with you? You are a wonderful and giving person, a mighty fine example of God’s work on Earth! erfect for a man’s quilt. Take care, Your friend from South Central Kansas. Awesome quilt! I love everything about it, especially that it’s not just one line of fabric. I think that makes it more interesting. 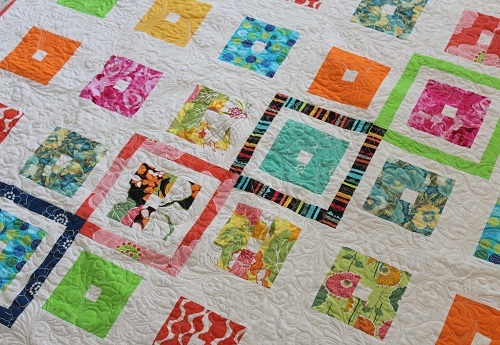 Your quilting is just fabulous. No pictures of what didn’t work for you??? I can’t imagine. This is a great design and the fabrics are wonderful. Very Generation Q”. Oh my, that must’ve been a lot of seam ripping! The results are lovely. Love the simplicity of is design Wendy… And your FMQ is stunningly beautiful… Thanks for the share! 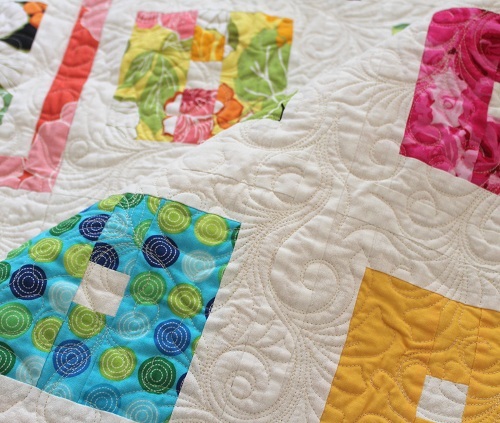 Loooove your quilting! Looks amazing on that quilt.